Phylogenetics is the taxonomical classification of organisms based on how closely they are related in terms of evolutionary differences. The course will familiarize students with different phylogenetics algorithms and practical software applications for biological problems. You will learn how to perform analysis of the evolution of protein and nucleotide sequences, and some other data types. 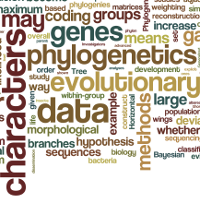 After this course you will be able to design and perform such a study independently, and you will be able to present publication quality phylogenetic trees. Suggested background knowledge: essentials of molecular biology, essentials of evolution, basic usage of command line. Our Introduction to bioinformatics course will provide suitable background studies for you. Special requirement: You will have to use the R software for the practical parts of this course. R is a free software programming language and a software environment for statistical computing and graphics. You have to be able to install this free software on your computer.